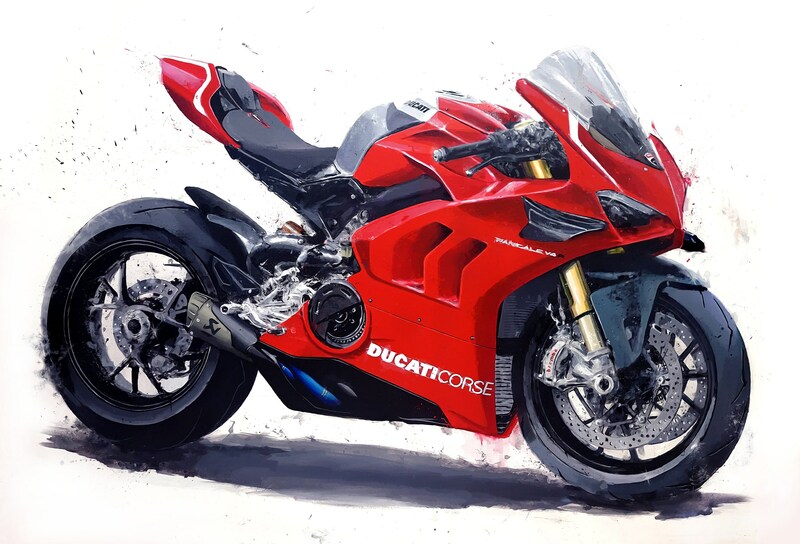 The stunning Panigale V4 R features an upgraded version of the Desmosedici Stradale V4 engine, derived from Ducati’s Desmosedici MotoGP racing engine. It's essentially a homologation special edition and offers perhaps the closest experience to riding an actual MotoGP bike available on the market today, with an unprecedented 234hp. 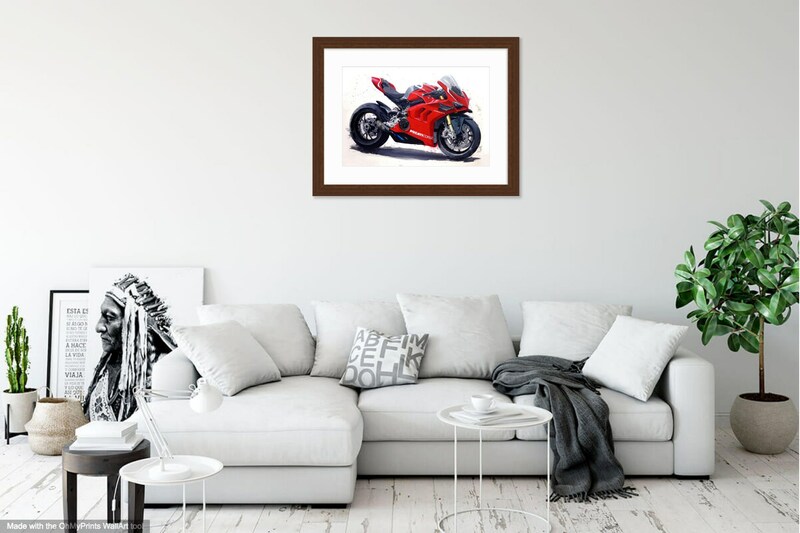 Whether you own one or just dream of owning one, this print captures the passion and beauty of the real thing. 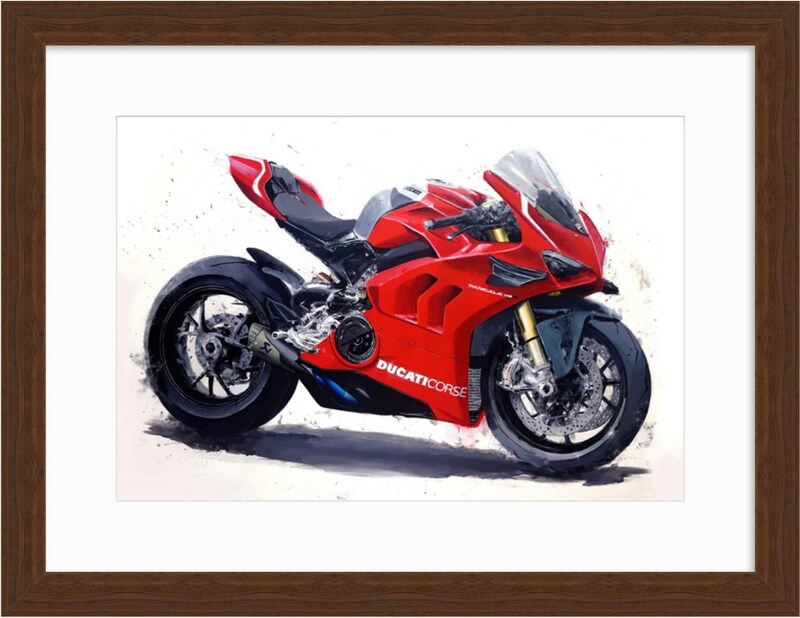 The original 30x40" painting was completed for the launch of Ducati's V4R at Ducati Newport Beach (please inquire if interested in the original). Prints are available on canvas or premier heavyweight paper. Each hand-signed rolled-canvas print is printed on Epson Canvas utilizing professional imaging technologies and methods. The meticulous reproduction process and the use of archival pigments and museum-quality canvas (estimated to last 400+ years) produces a stunning print frequently mistaken for an original. Signed art prints are printed on Kodak Professional Endura Premier paper for exceptionally sharp and precise colors, bold, rich blacks and clean, crisp whites. Poster prints will last 100 years in a typical home display and 200 years in dark storage. Artwork will arrive rolled in a durable shipping cylinder. Most prints are ready to ship within 2-3 days; larger sizes may require additional processing time.